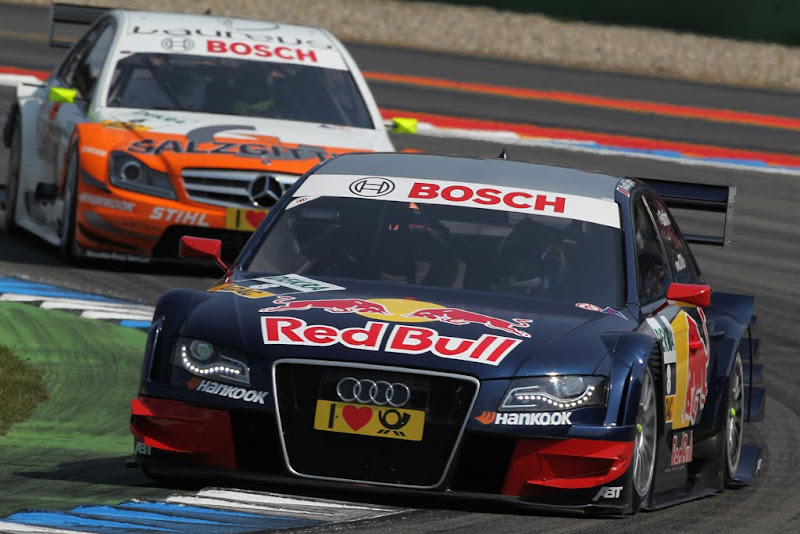 With three cars finishing in the top five positions, Audi had a very strong showing at last Sunday's DTM season opener in Hockenheim. 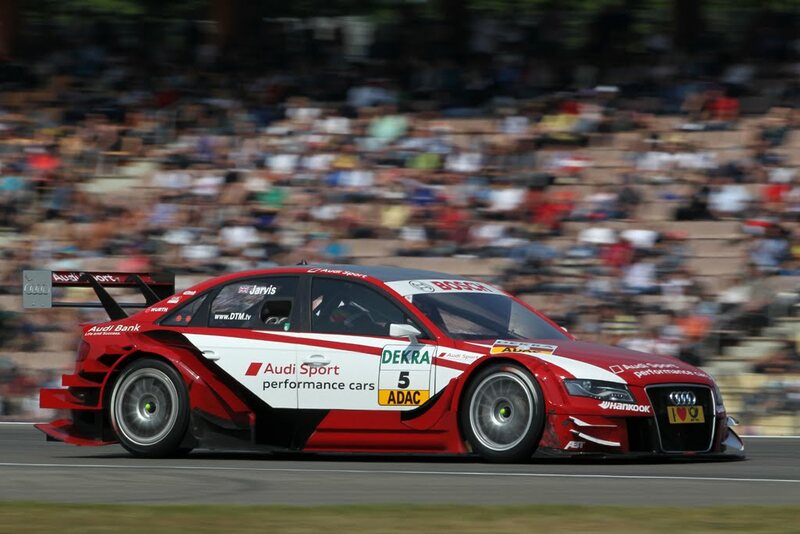 Best of which was Mattias Ekström, the only Audi driver on the podium, taking a second place finish. 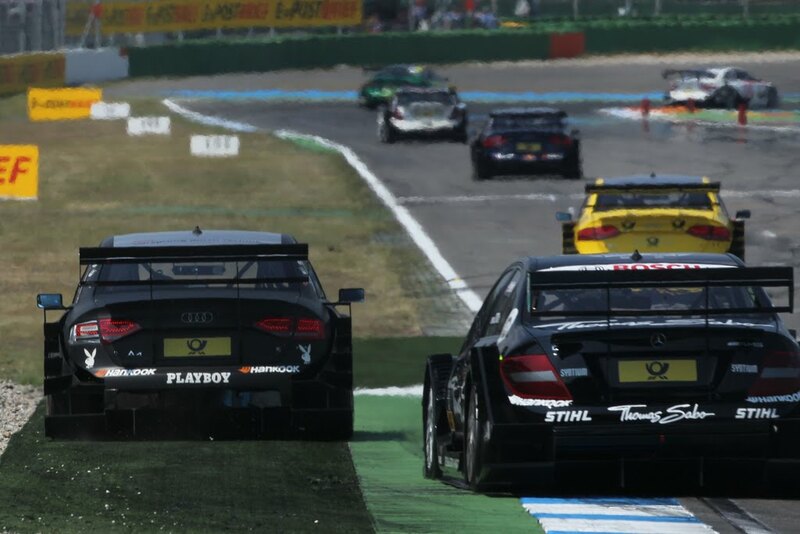 Missing the podium by just 0.671 of a second was Timo Scheider, followed by Martin Tomczyk driving a year-old A4 DTM finishing fifth. Full report and photos after the jump. 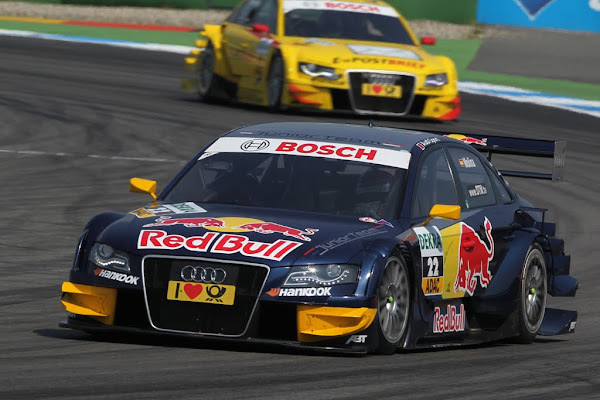 Ingolstadt/Hockenheim, May 1, 2011 – 58,000 spectators (throughout the weekend) at the Hockenheimring saw a thrilling DTM season opener and an impressive performance by Audi driver Mattias Ekström. 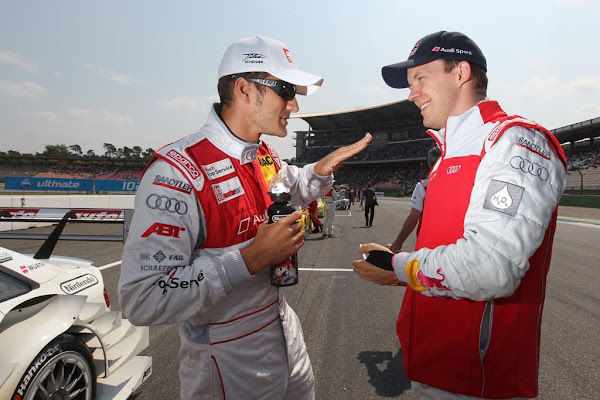 Just 73 days after he broke his left wrist in a sporting accident the Swede clinched second place and thus a podium result for Audi Sport Team Abt Sportsline. With three Audi A4 DTM cars on the top five positions the brand with the four rings achieved a clearly better start into the season than last year when not a single Audi driver mounted the podium. 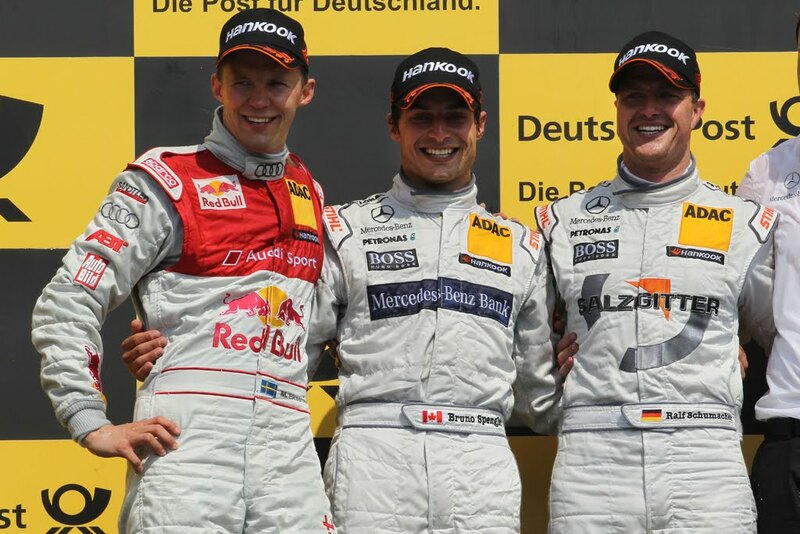 In addition to Mattias Ekström, Timo Scheider and Martin Tomczyk shone in particular. They saw the checkered flag on positions four and five, just barely missing the podium. Ekström was able to bring the car safely across the line in a photo finish barely ahead of Ralf Schumacher who made a mistake on the final lap and was almost intercepted by Audi driver Timo Scheider. 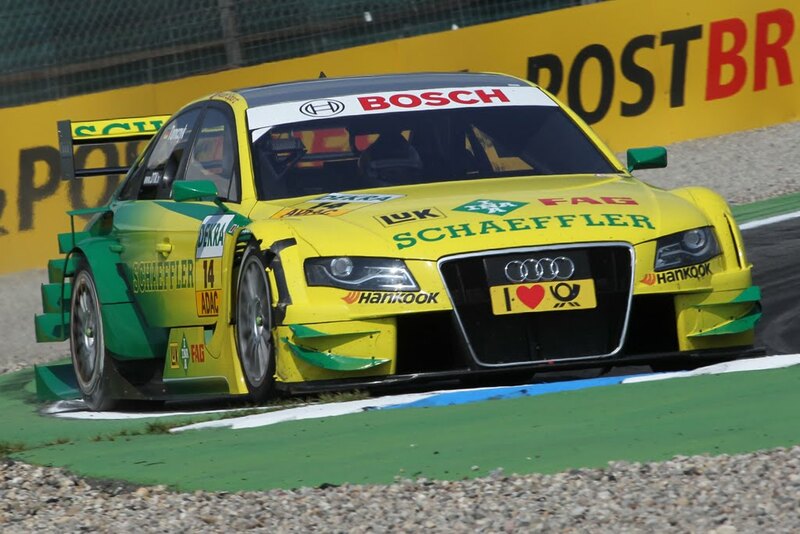 The two-time DTM champion missed the podium by just 0.671 seconds. 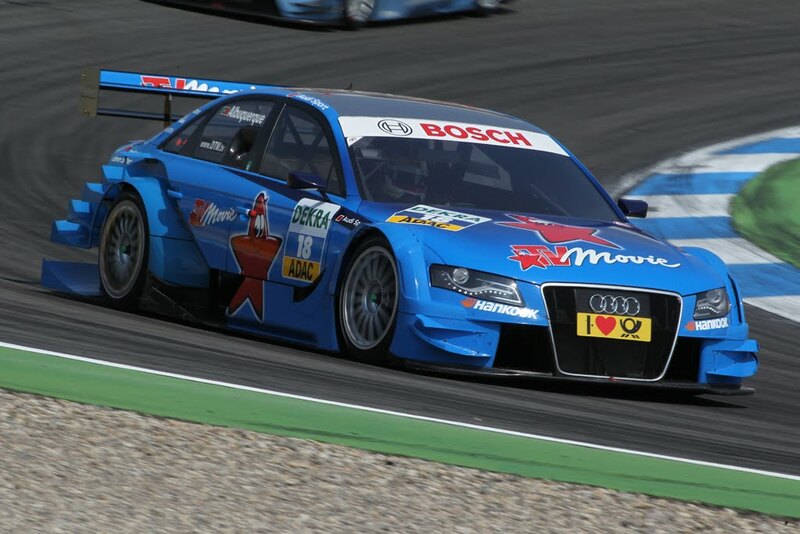 Martin Tomczyk drove a strong race as well. He finished his first run for Audi Sport Team Phoenix in fifth place and thus as the best driver of a year-old car. Tomczyk through no fault of his own triggered a safety car period because the fuel can got stuck on his Audi A4 DTM during the second pit stop and subsequently fell onto the track. 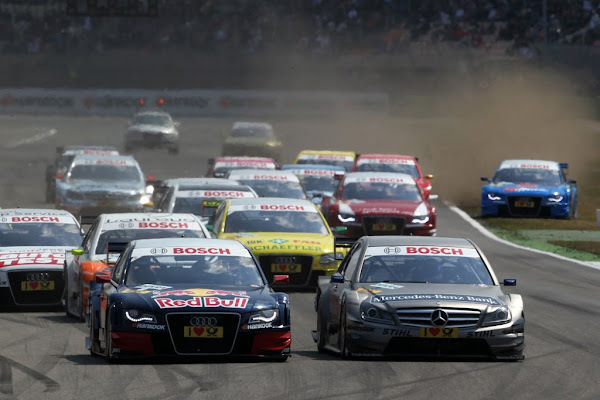 The safety car period deprived several other drivers of better positions because they had not yet made their second pit stop – particularly Mike Rockenfeller, who had to stop for the red light at the pit lane exit and dropped to eleventh place. Edoardo Mortara (Audi Sport Team Rosberg) as well was thus bumped out of the top ten. His team-mate Filipe Albuquerque had to sit a drive-through penalty after failing to notice the red light at the pit lane exit. Before the incident he had been turned around by a rival in the hairpin. Miguel Molina was another driver to suffer misfortune. 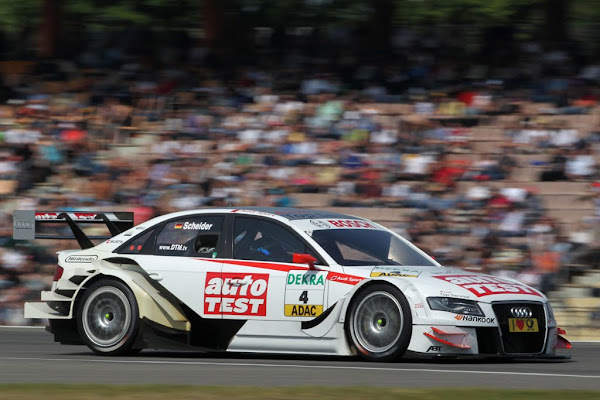 After his mechanics had worked late into the night replacing the entire cable harness of his Audi A4 after electronic problems in qualifying he was running in the points before being attacked by Gary Paffett and subsequently turned around by Oliver Jarvis in an unfortunate incident. A solid performance was shown by Rahel Frey. The young Swiss drove a flawless race on her DTM debut, which she finished in 15th place.